At the first RBC #FutureMakers event of 2019, speakers brought forth their visions for how innovation must evolve. Speaking across a broad range of topics, the four presenters used their experiences in banking, education, healthcare, and food science to demonstrate how we can innovate on the ways we innovate. Innovation “has to be focused on customer priority,” said Alexander Peh, VP of Innovation at RBC. His key message for the audience was the notion that, within the context of his role at a financial services provider, innovation must be “anchored” or be meaningless: inventing things for their own sake would get his team nowhere and waste a lot of time and resources in the process. Peh expanded on this message to deliver his three things that anchor innovation: alignment to customer needs, a focus on customers’ priorities, and the ability to clearly articulate the benefits and values of the innovation. It seemed as if Peh and Melissa Sariffodeen, co-founder and CEO of Canada Learning Code, were in conversation with one another despite the separate focus of their talks. 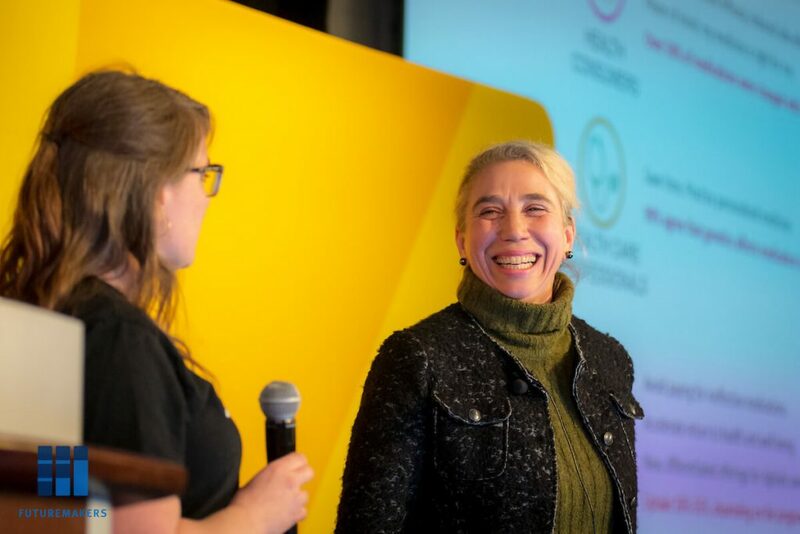 Speaking on ways to bring innovation to education, the coding bootcamp veteran pointed to the potential for innovation to empower people to build, not just consume. Sariffodeen’s comment could easily be a fourth innovation anchor to Peh’s original three. Adding her own fifth pillar to Peh’s innovation framework, The Knowledge Society student Isabella Grandic encouraged the audience to think small in order to make big a impact. Specifically, she asked the audience to focus on cows. Noting that there are millions of cows all over the world to feed a meat-hungry populace, Grandic explained that the methane gas cows and other farm animals emit is one of the leading causes of global warming. In that moment, she brought the seemingly unsolvable problem of global warming to an uncomfortably personal level. Everyone, she said, could help change the world if they changed their diet. The effects of innovation, on the other hand, are deeply personal. Veronika Litinsky, CEO of Geneyouin Inc, a platform that helps doctors prescribe the right pills to patients, described how nearly all people in the world have a unique genetic marker that makes them react to medicines differently. Since doctors cannot read genetic markers easily without a platform like Geneyouin’s PillCheck, a significant amount of drugs are wasted in the testing process to find the right ‘cocktail’ for a patient. On the patient’s side, tests cost money, and the wrong drug cocktail can cause discomfort. The PillCheck platform addresses this issue by using gene testing to identify the optimal drug mix for a given patient, and “cognitively aiding” doctors, said Letinsky. Letinsky’s solution requires editing the drugs to match the genes, not editing the genes to match the drugs. In the same vein, Grandic’s solution to the global warming problem was to focus on the human element. Grandic did not tell the audience that her plan was to convince all humans to go vegan or eat plant-based meat. Instead, she wants to change how we produce beef. 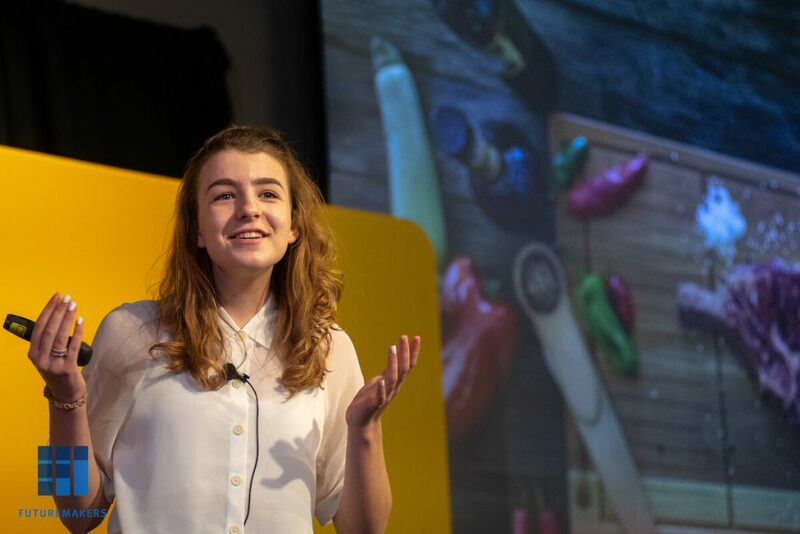 The teen described ongoing lab experiments that could harvest and cultivate cow cells in order to grow real beef with a significant reduction in environmental impact. For Sariffodeen and Canada Learning Code, the personal effects of innovation come in the classroom. That can mean technology like VR which decentralize learning, allowing classrooms in Iqaluit to take lessons from a teacher in Regina or Halifax. It can also mean changing the way students learn. Veronika Litinsky, CEO of Geneyouin Inc. Noting that the current education system was built for an industrial era that no longer exists, Sariffodeen explained the potential for AI and other cognitive technologies to provide every student gets a personalized learning plan rather than ‘standardized tests’. With new technologies guiding the educational journey, teachers and other community leaders can become what Sariffodeen calls “Lead Learners”, stewarding curiosity and growth mindset in their students. On the path to innovation, there will surely be many setbacks. Realizing this is part of the process, many in the tech ecosystem move to celebrate failure as a signal that you are learning. Depending on how far you take it, though, ‘celebration’ of failure could send the wrong message. Tickets for the next RBC #FutureMakers event on February 27 range from $7-15, but BetaKit readers can get in FREE using the promo code “BetaKitPROMO”. BetaKit is a FutureMakers media partner. Photos by Mirna Chacin.